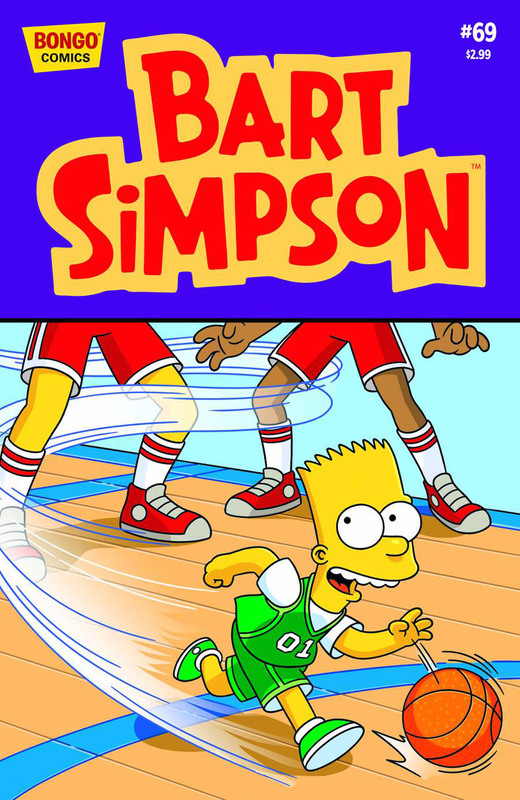 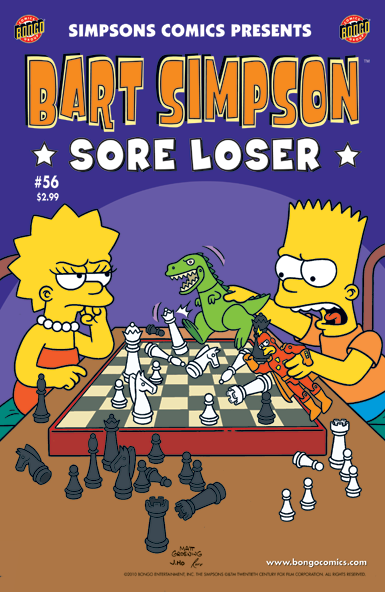 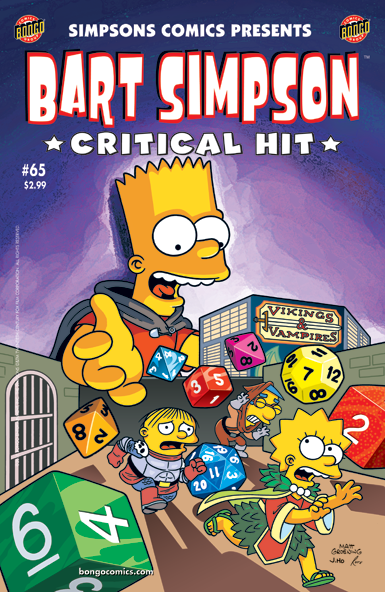 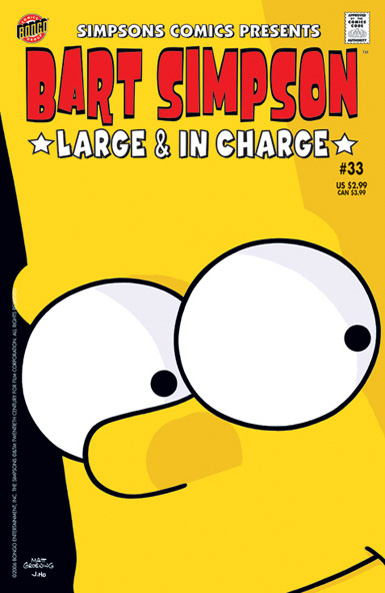 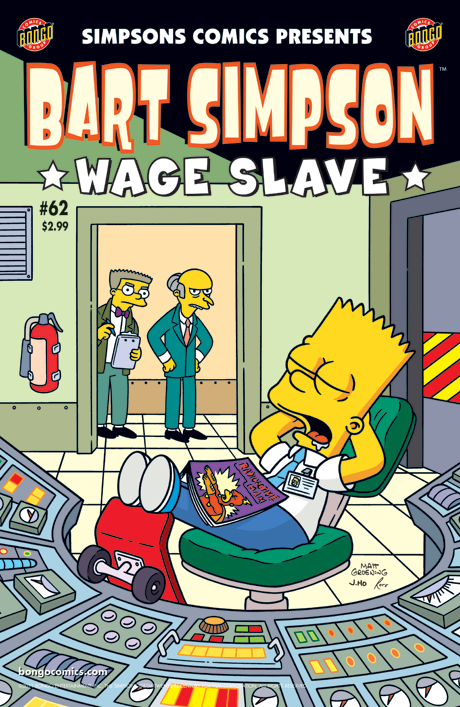 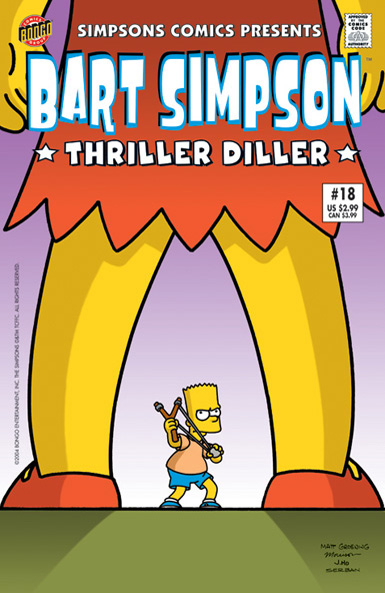 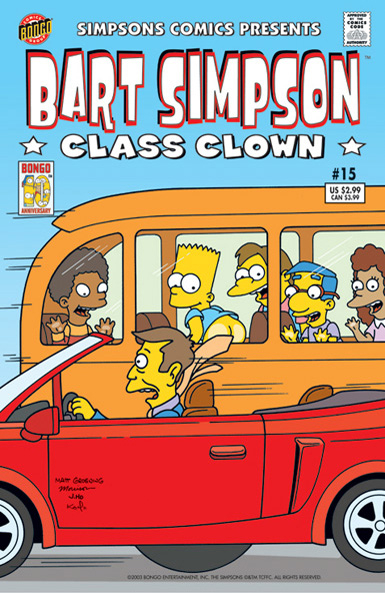 Simpsons Comics Presents Bart Simpson was a short stories comic book series centered on Simpsons star Bart Simpson which ran from 2000 to 2016 in the United States, published by Bongo Comics. 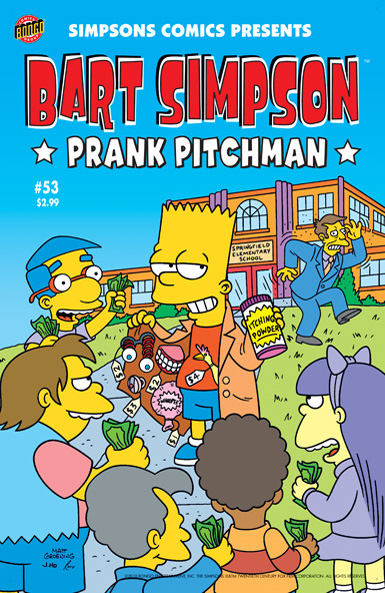 The Australian version, published by Otter Press, ran from 2002 to 2016 and the UK version was published by Titan Magazines from 2001 until 2013 when it was replaced by Bart & Co. (which has also now been retired). 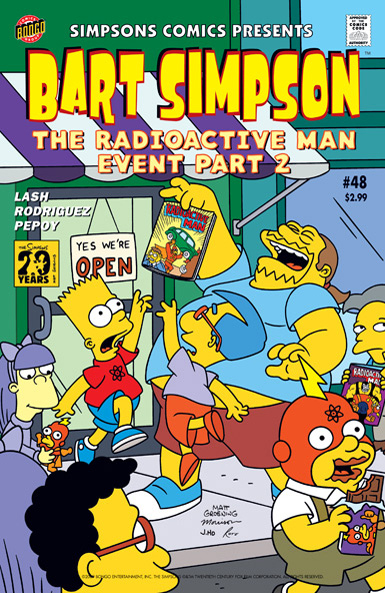 The frequency of publication changed multiple times over the course of the series. 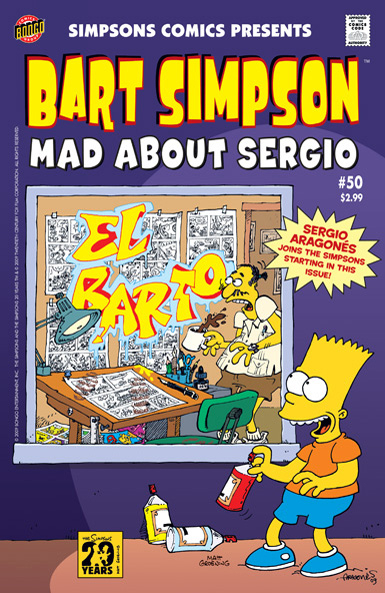 It was originally released every other month, but from April 2011 to July 2013 it was published every month before returning to a bi-monthly release. 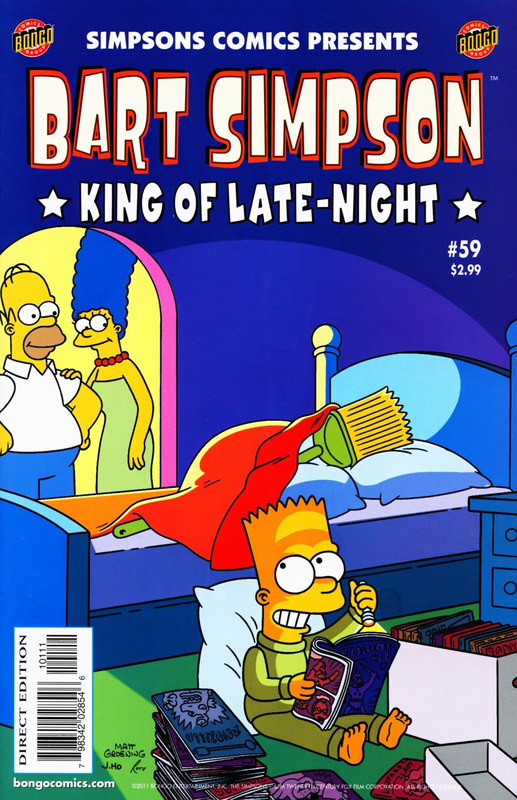 Issue 100 was published on February 24, 2016 as the last in the series after 15 years. 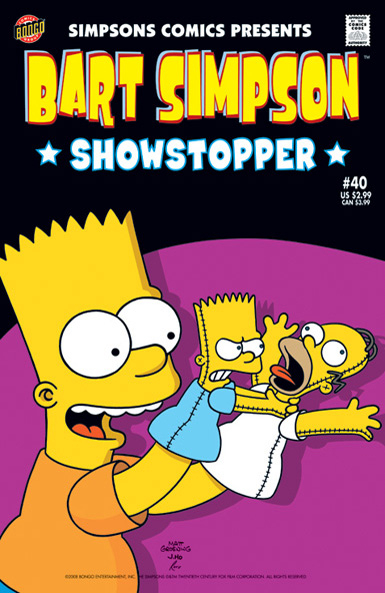 The comics had between three and seven different short stories, though a few releases only had one long story. 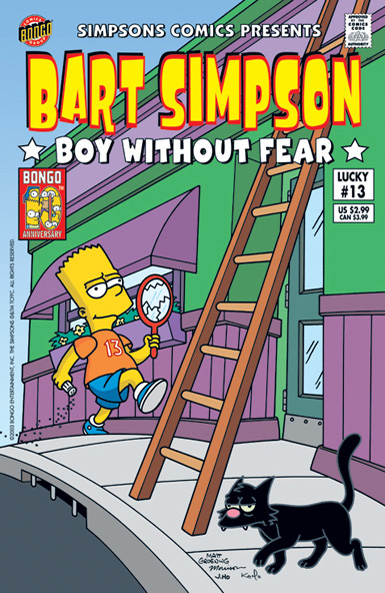 There would sometimes be a bonus comic or three about Bongo Super Heroes. 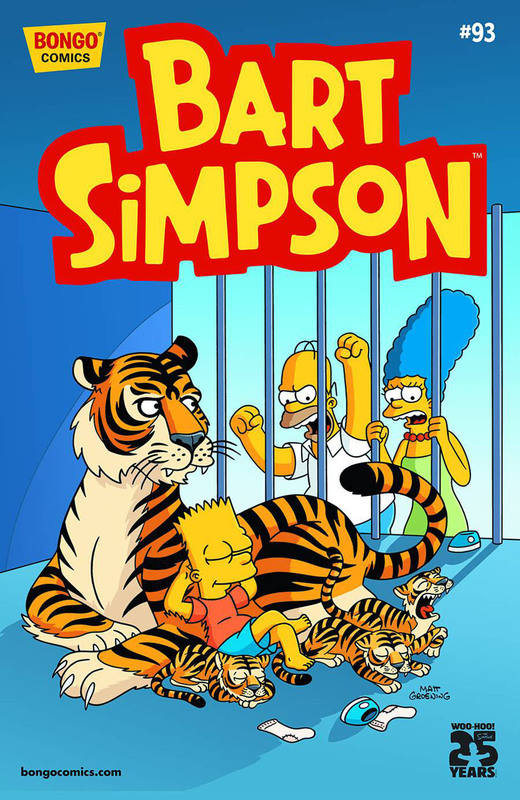 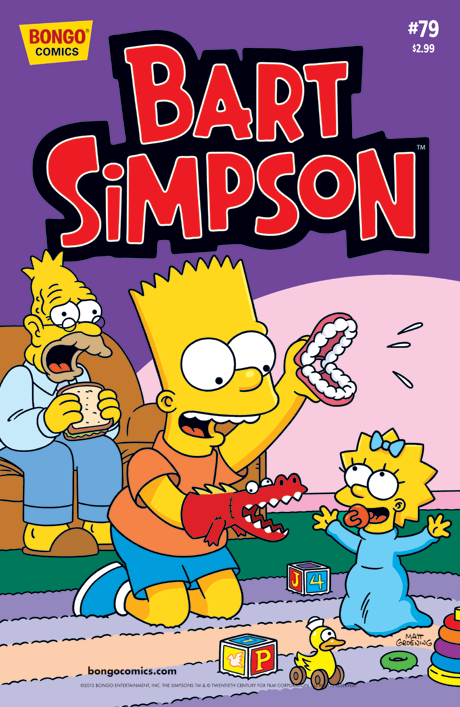 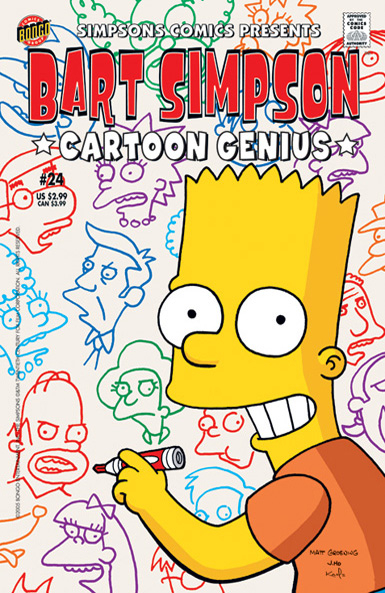 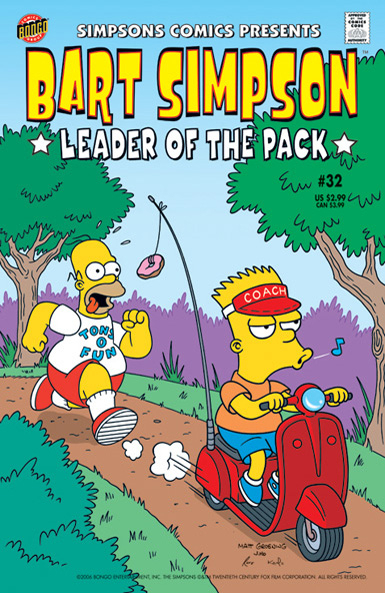 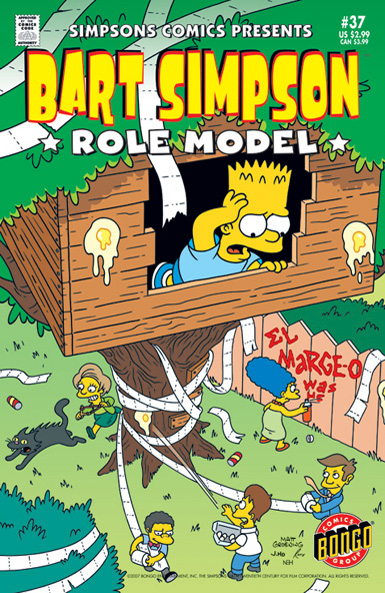 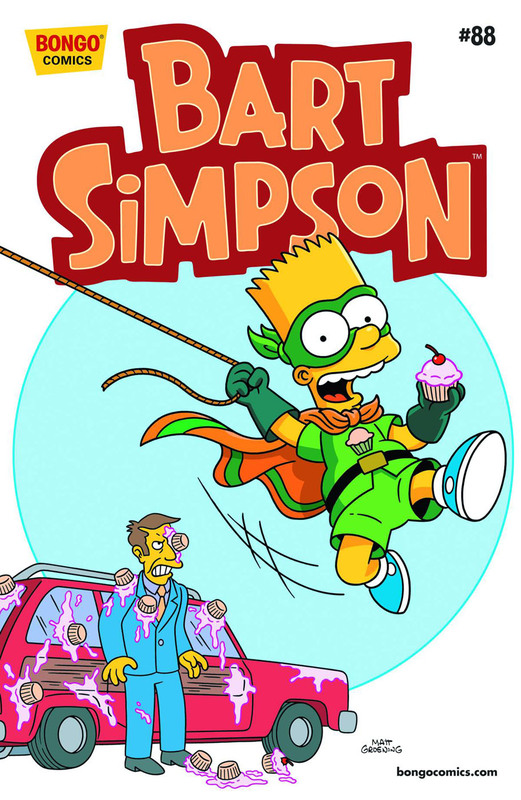 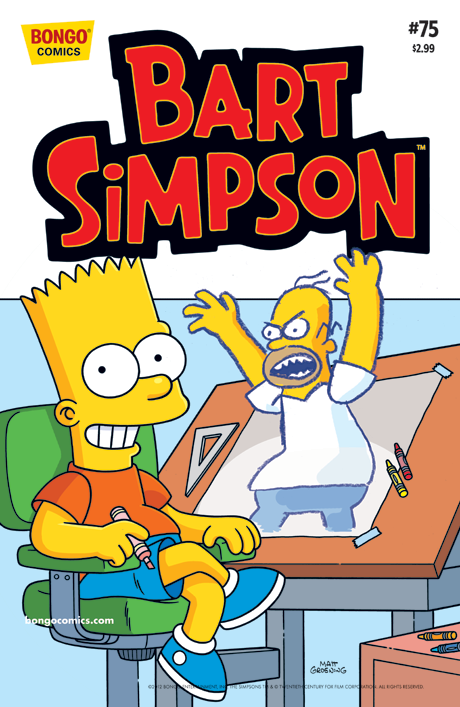 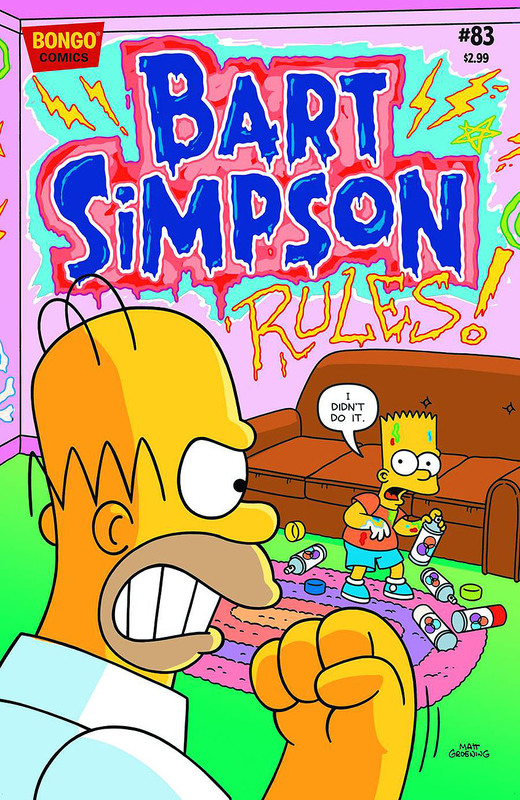 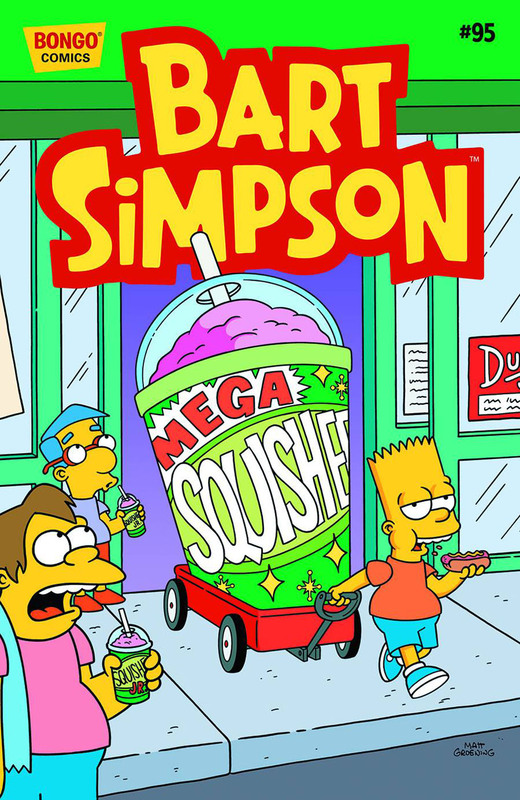 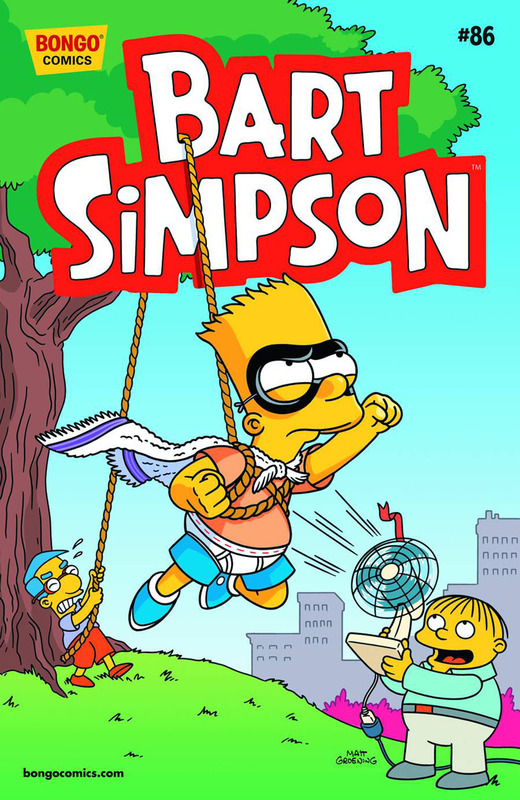 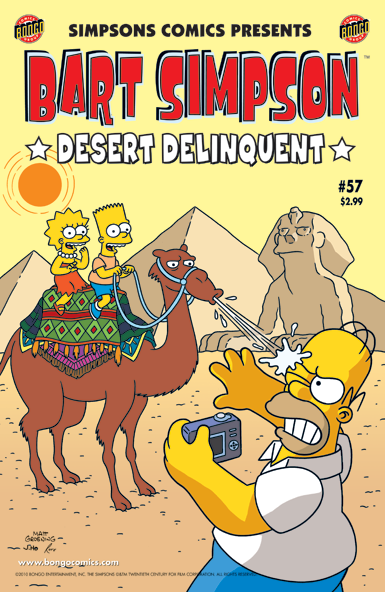 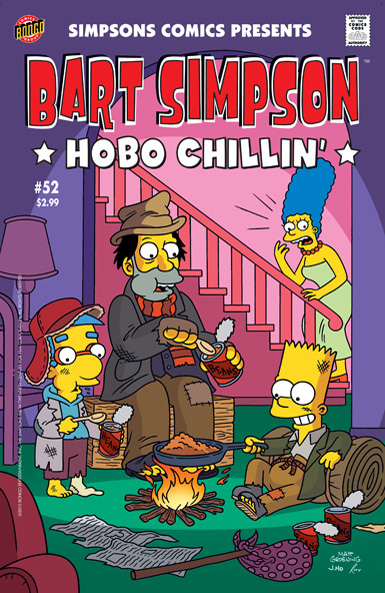 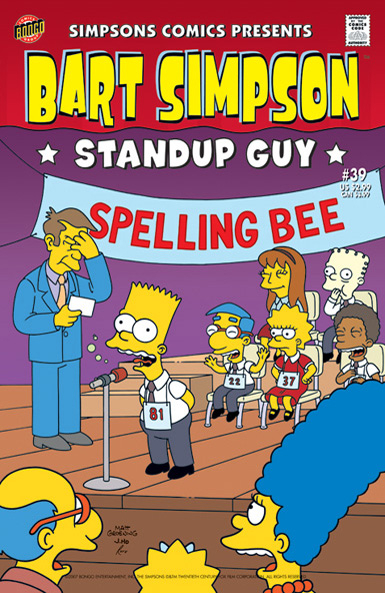 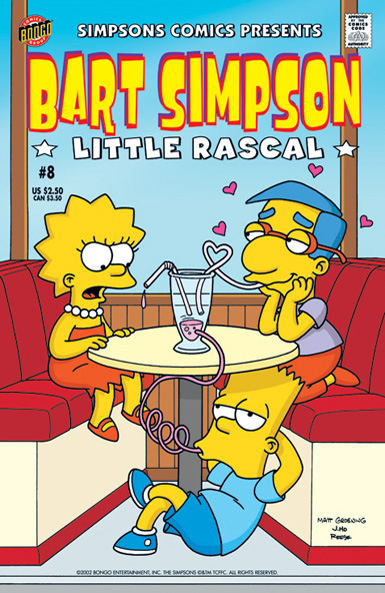 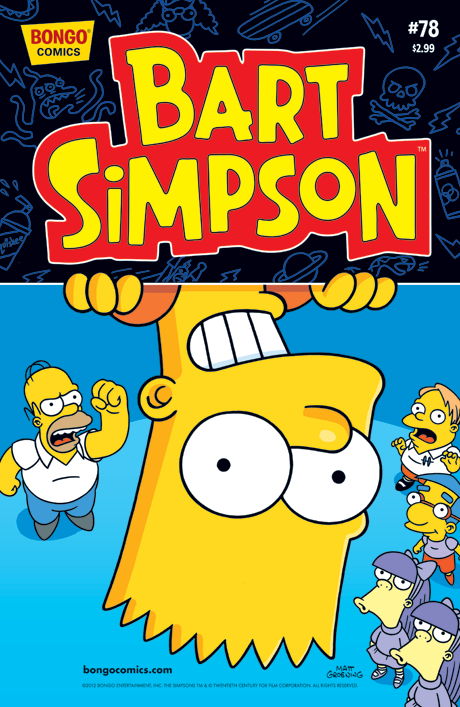 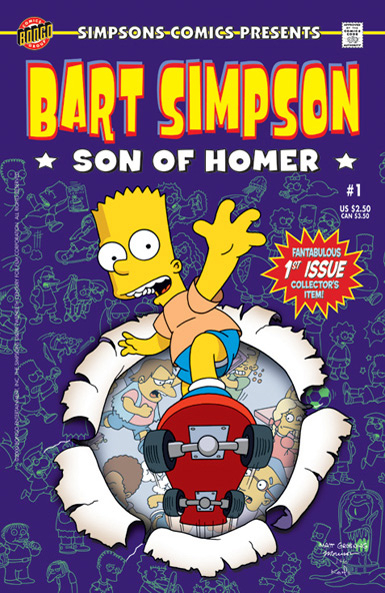 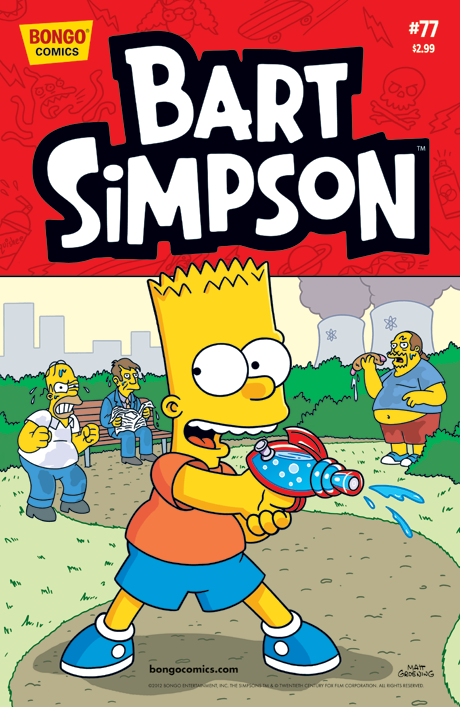 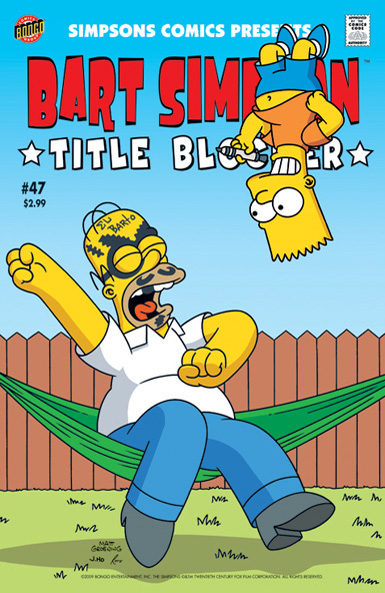 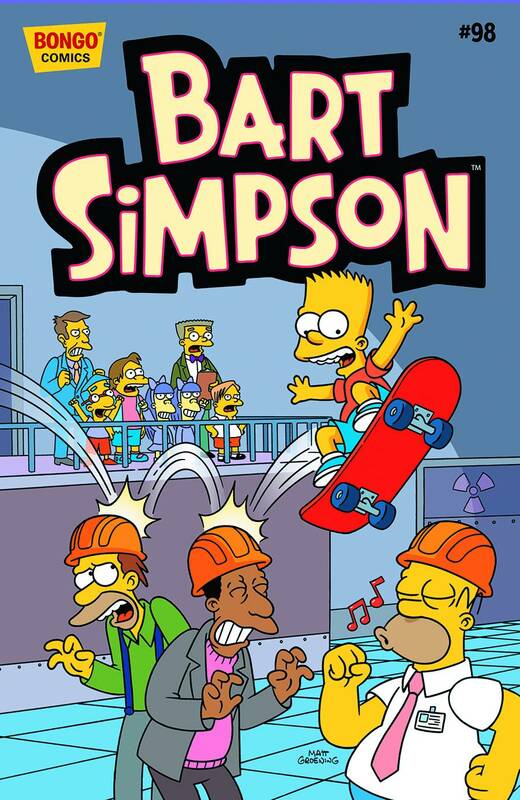 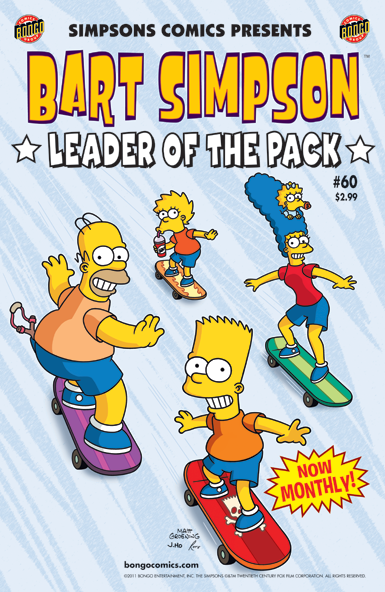 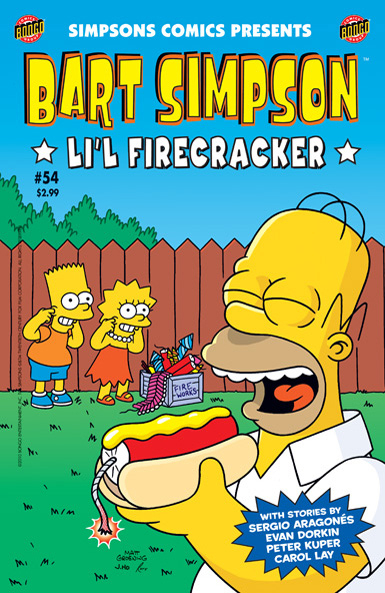 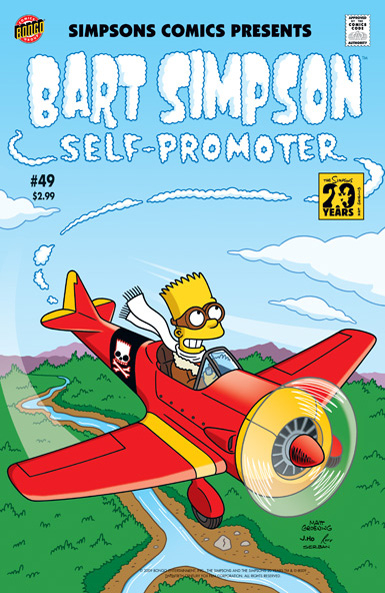 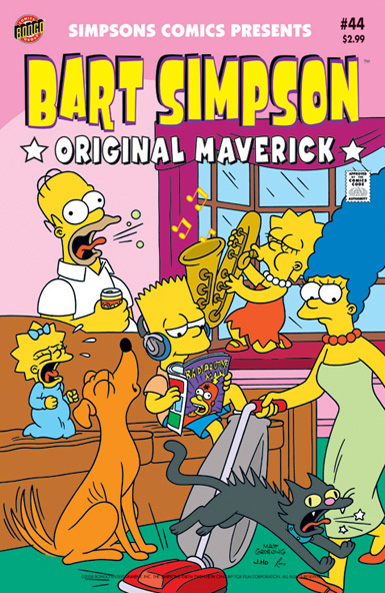 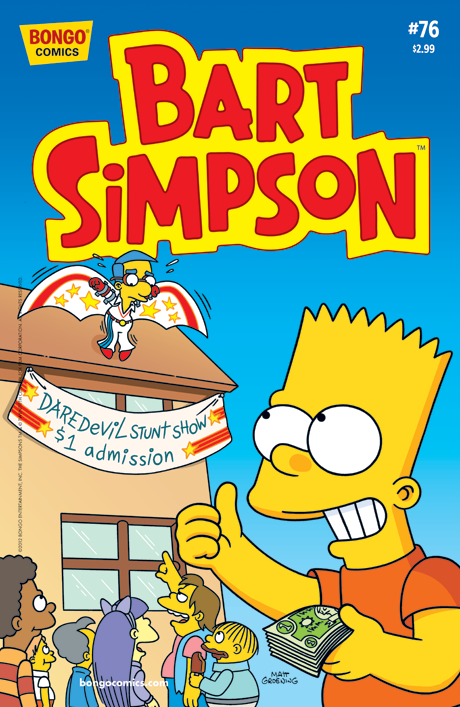 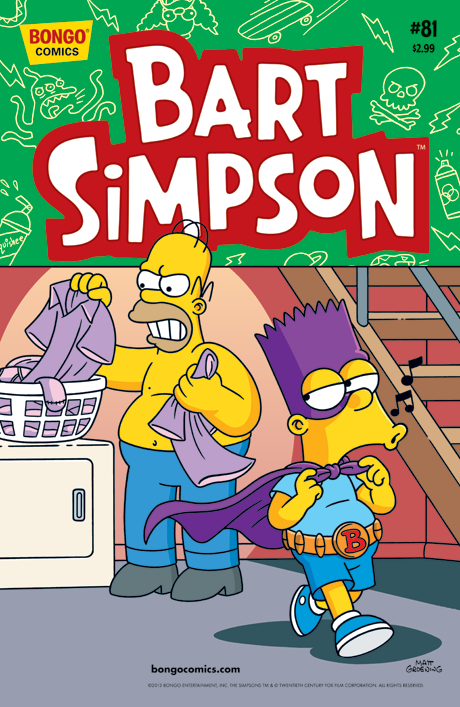 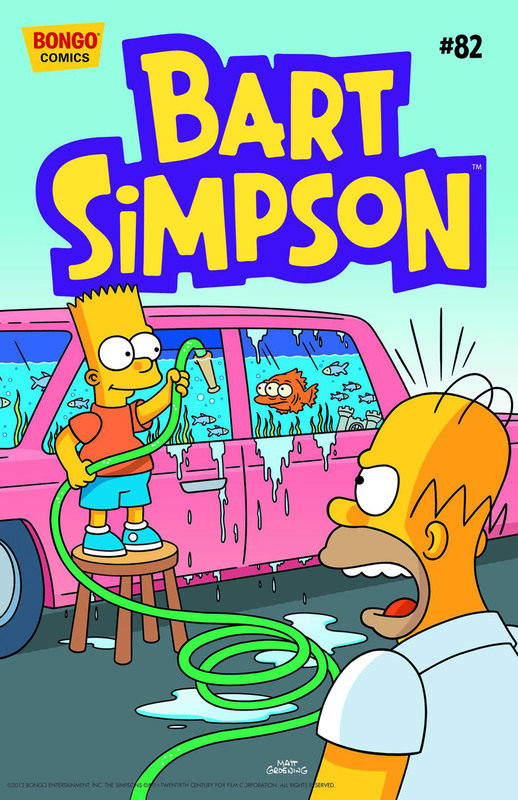 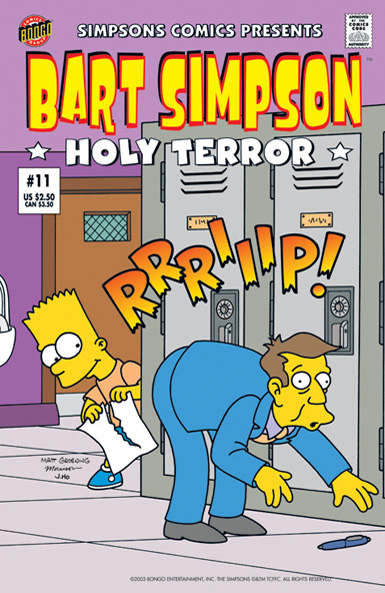 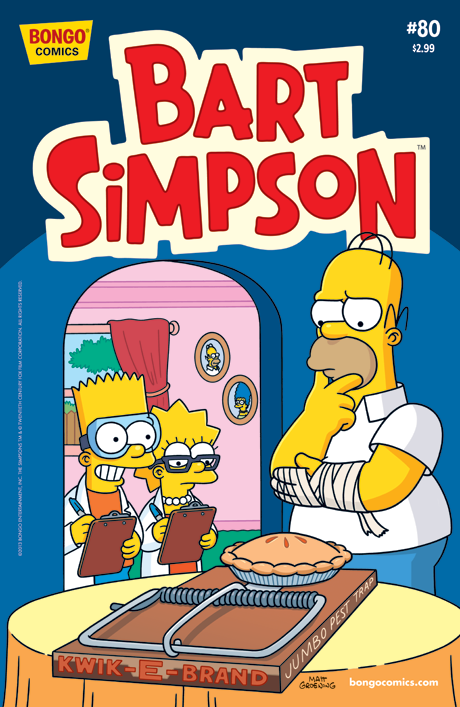 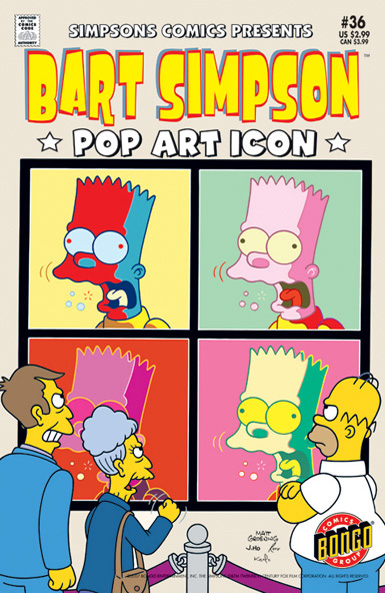 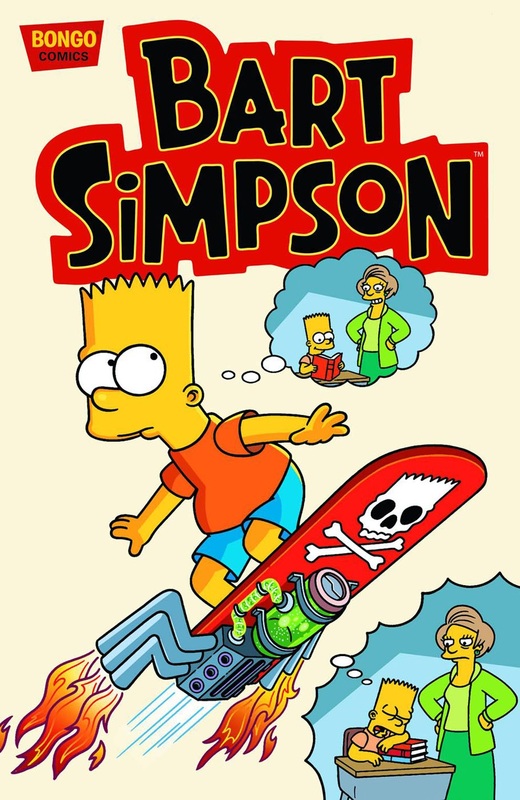 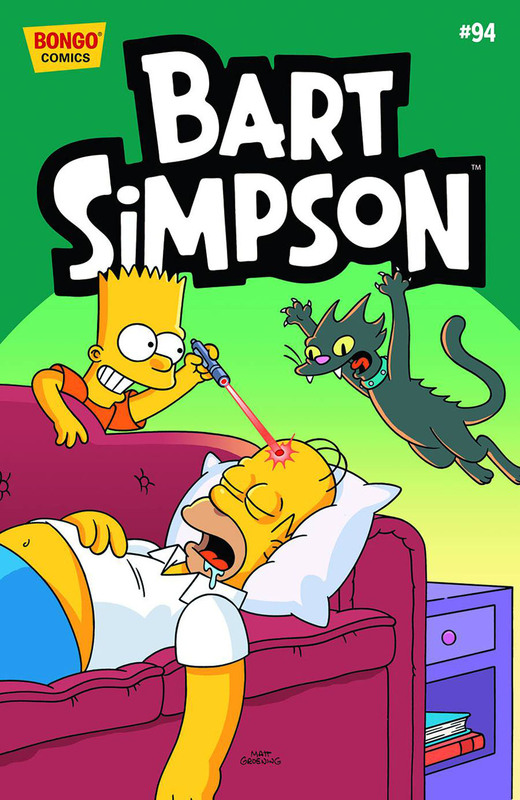 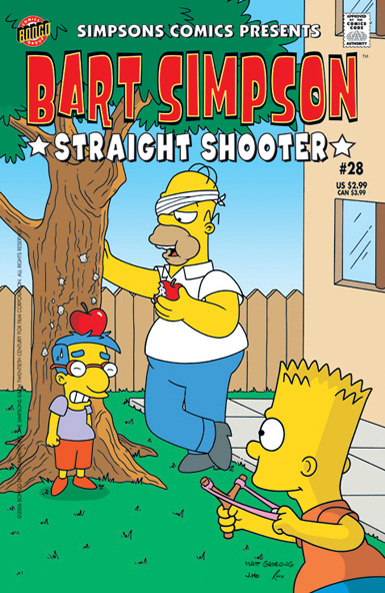 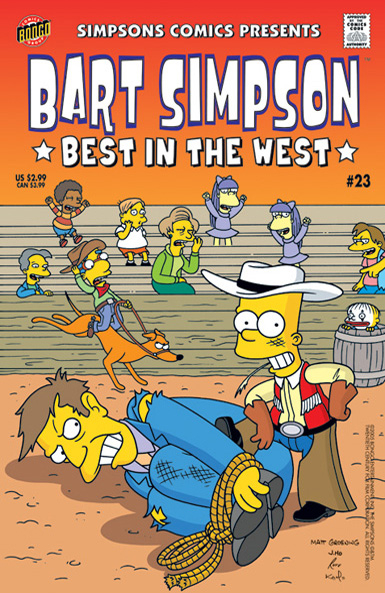 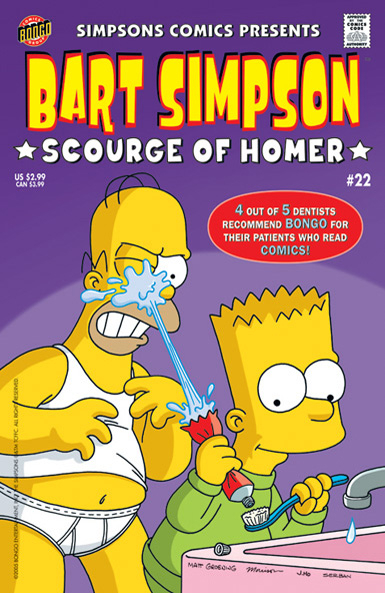 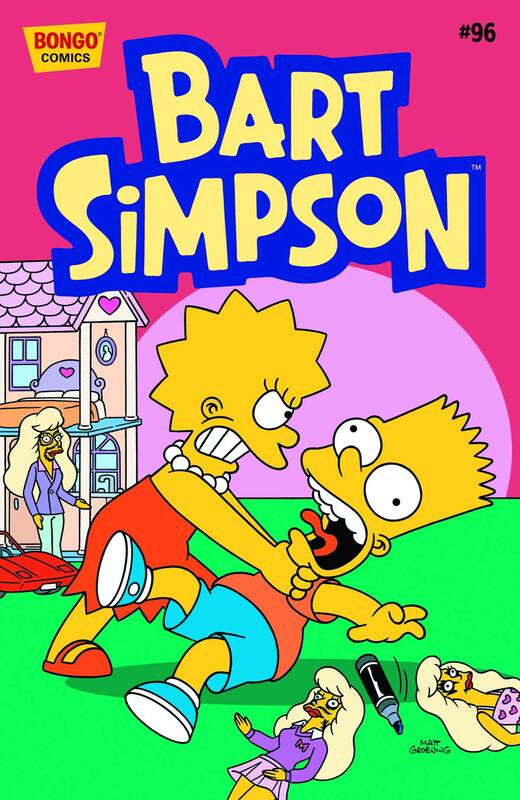 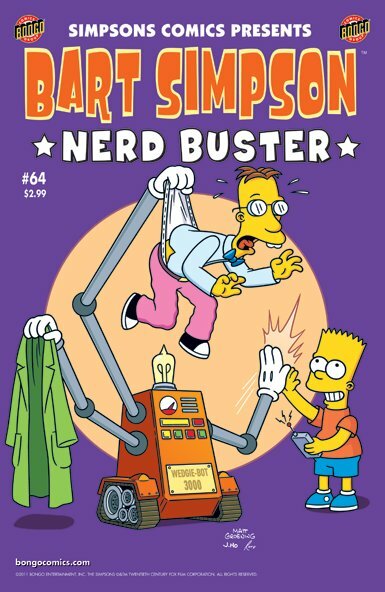 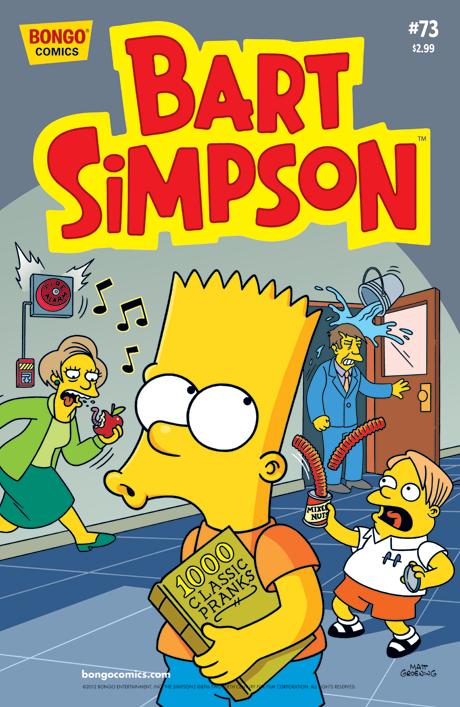 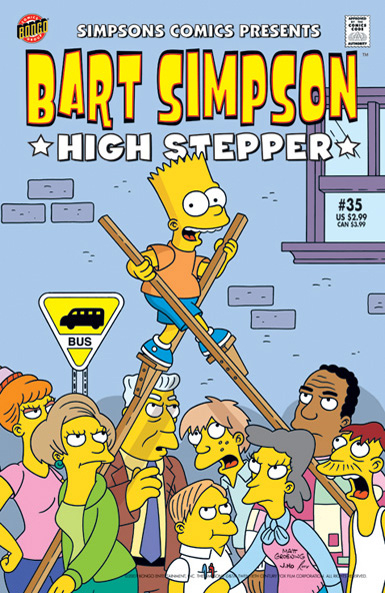 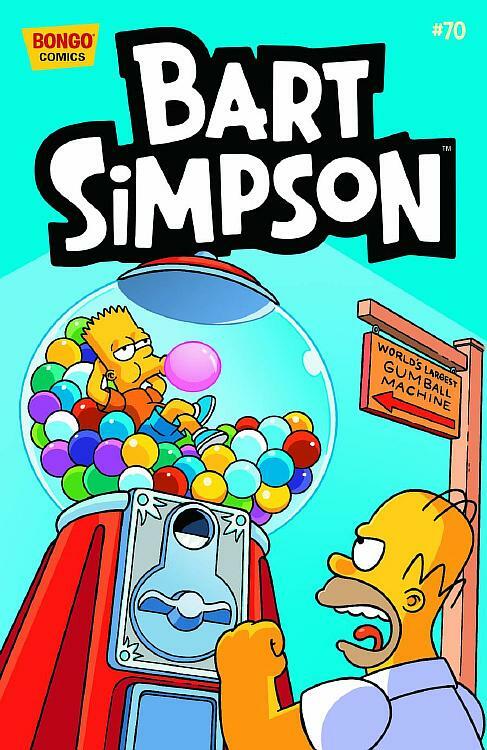 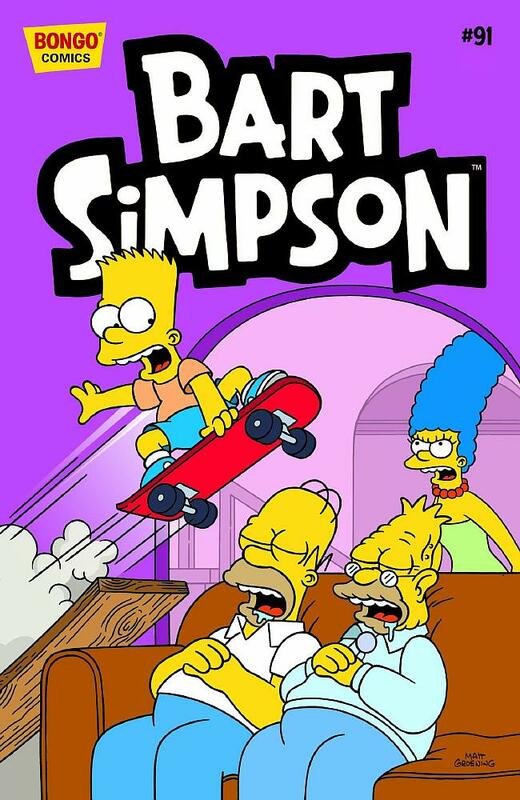 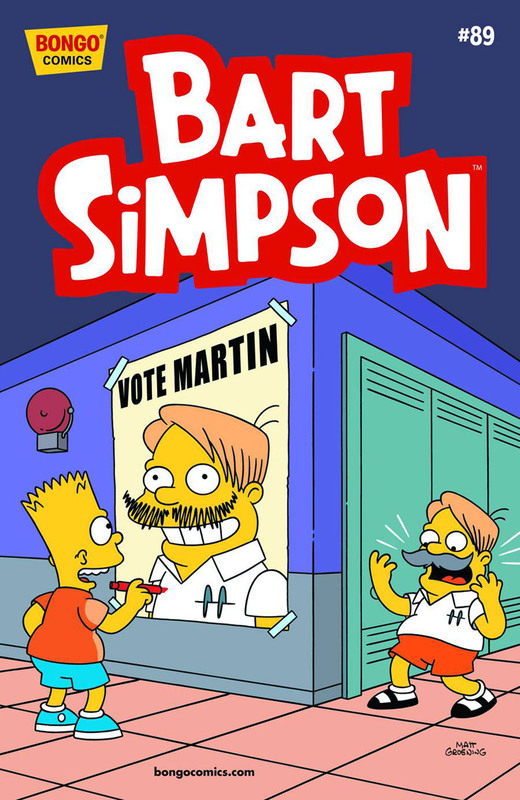 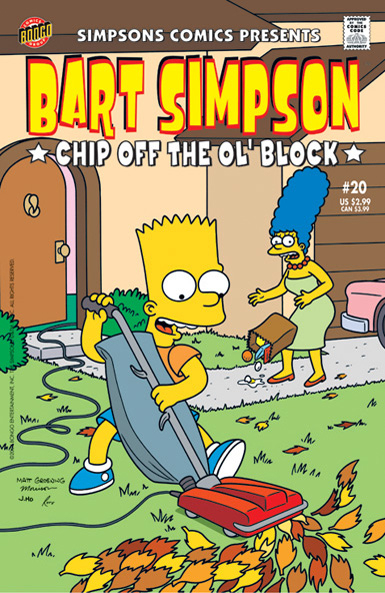 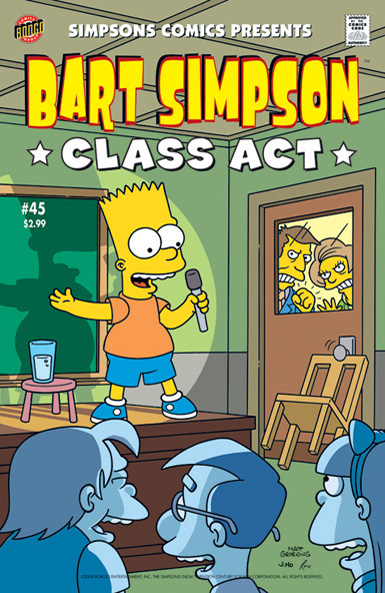 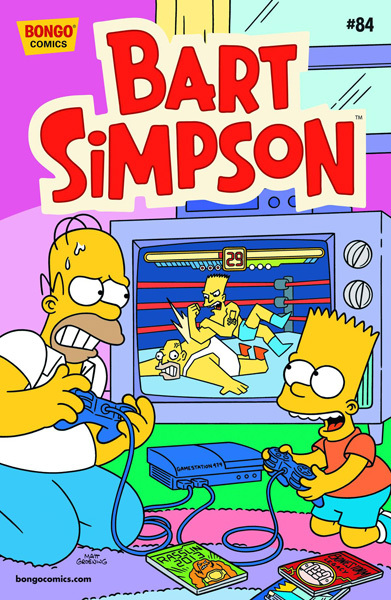 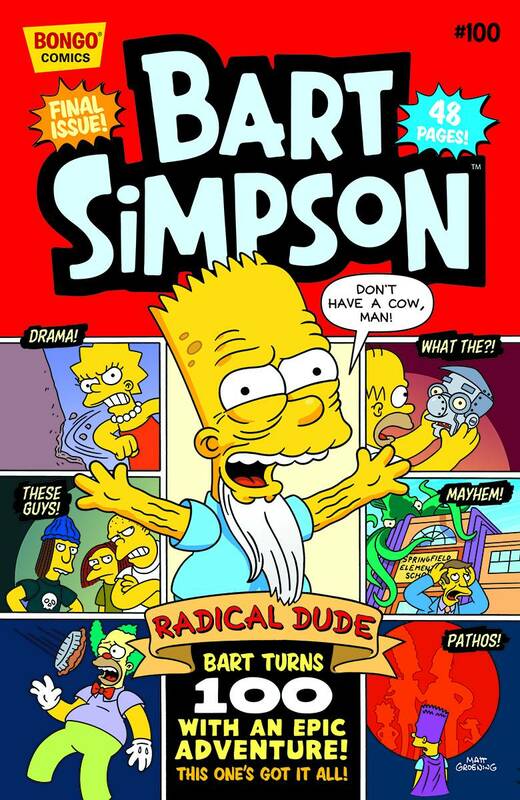 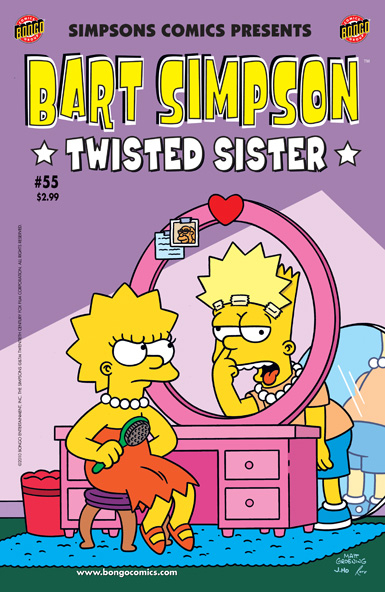 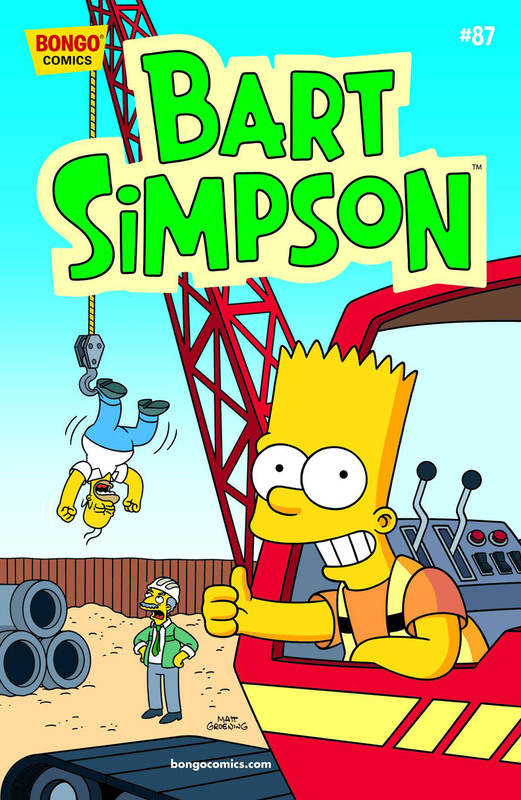 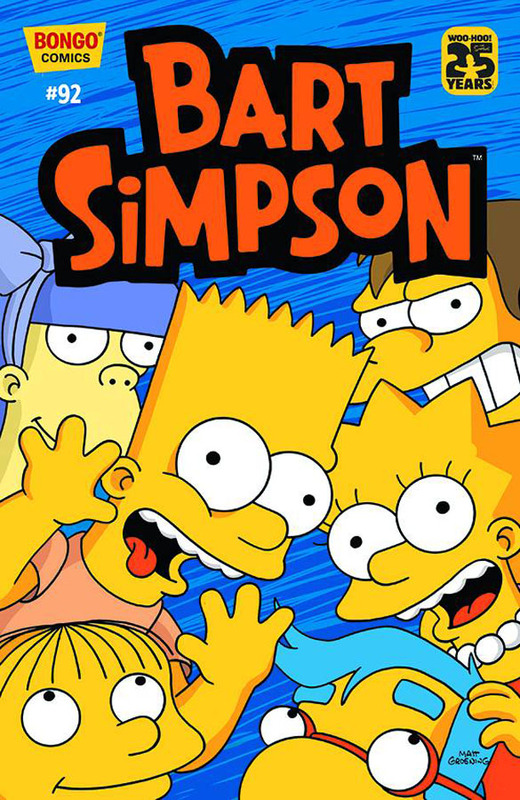 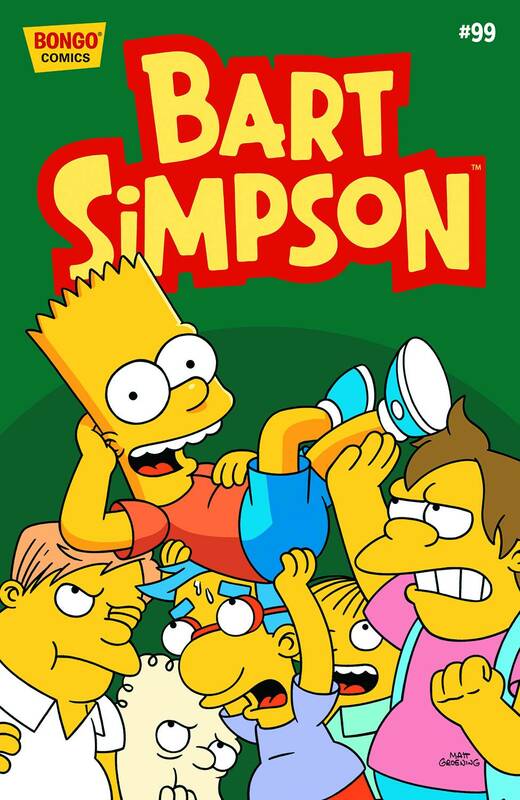 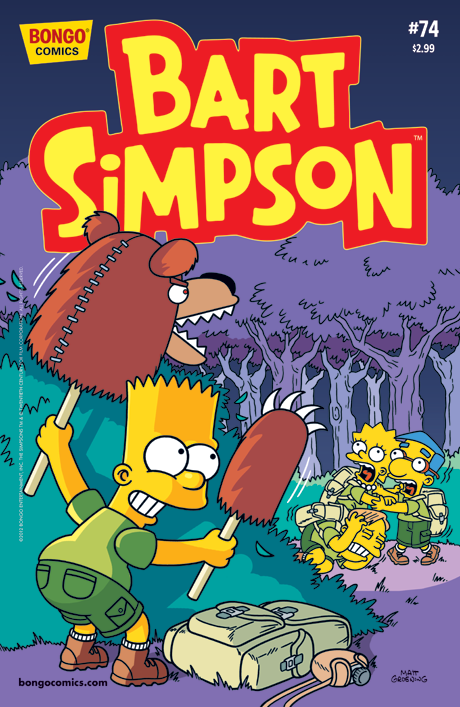 The series was in publication for a much shorter time than Simpsons Comics and had different types of plots, covers, drawings and titles than Simpsons Comics. 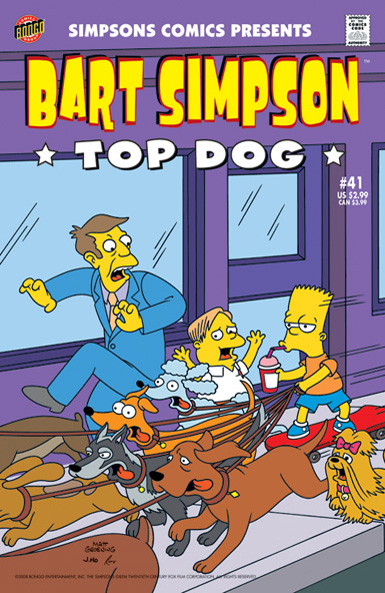 The stories usually focused on the younger residents of Springfield, especially Bart. 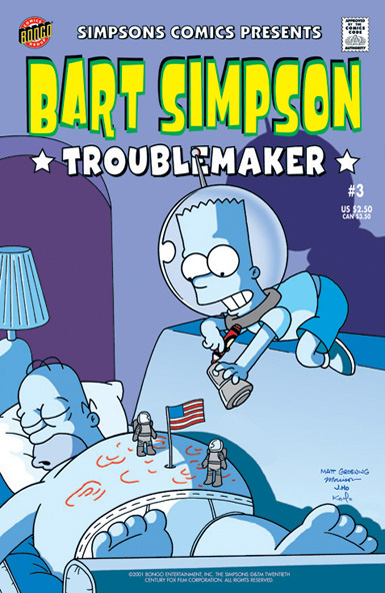 Bart Simpson 3 Troublemaker Terror on Trioculon! 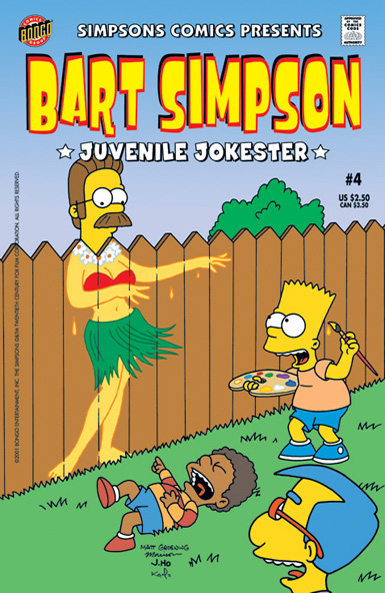 Bart Simpson 4 Juvenile Jokester ...Who Wants to Win a Pocketful of Quarters? 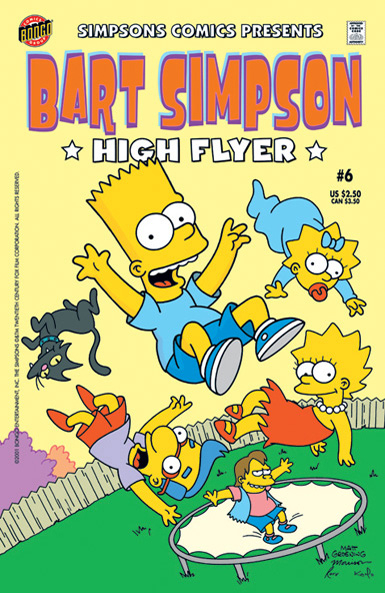 Bart Simpson 6 High Flyer The Supercat of Springfield! 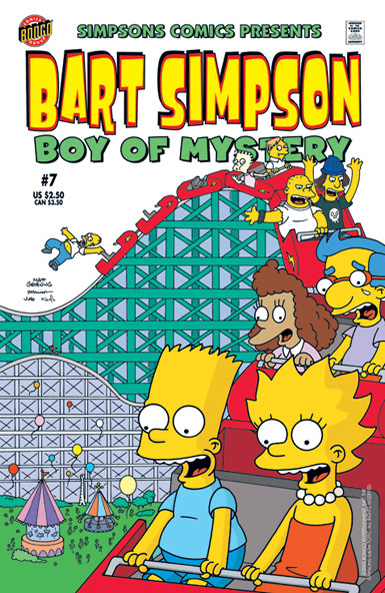 Bart Simpson 7 Boy of Mystery See You Later, Alligator! 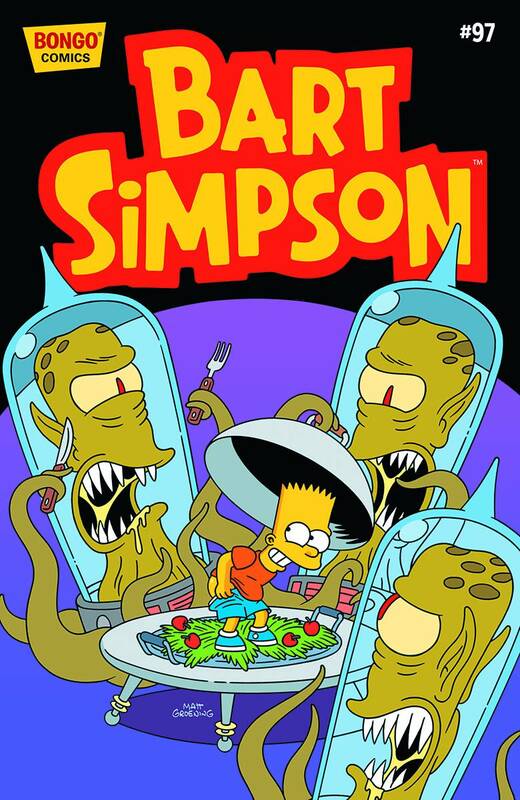 Li'l Kang and Kodos: Baby's First Abduction! 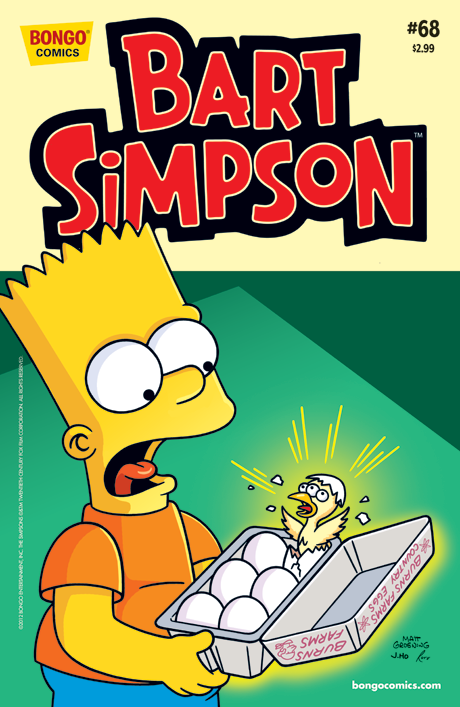 Professor Frink's Partly Probable Parables: Sashimi Bart! 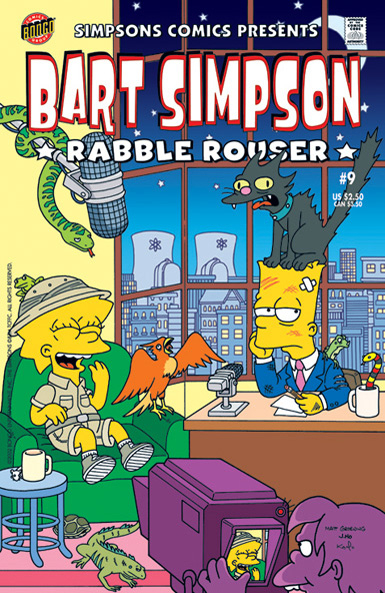 Bart Simpson 9 Rabble Rouser O Bart, Where Art Thou? 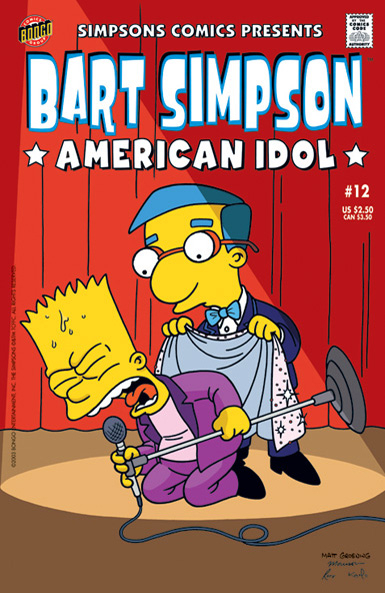 Bart Simpson 12 American Idol An Anime Among Us! 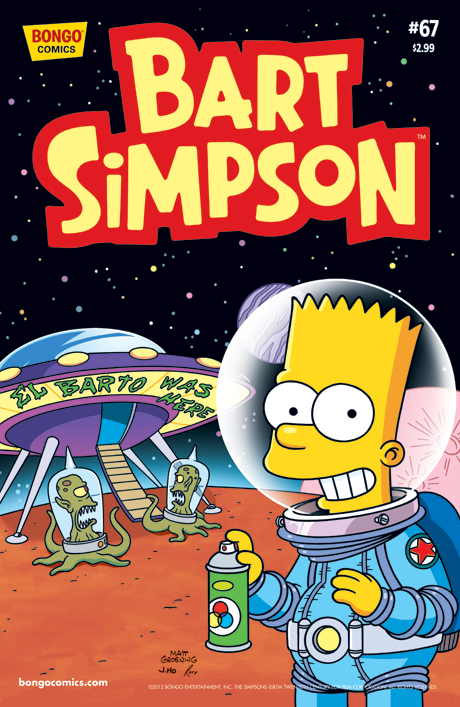 Bart Simpson 13 Boy Without Fear Bartzan and the Ancient Forbidden Golden City of Gold! 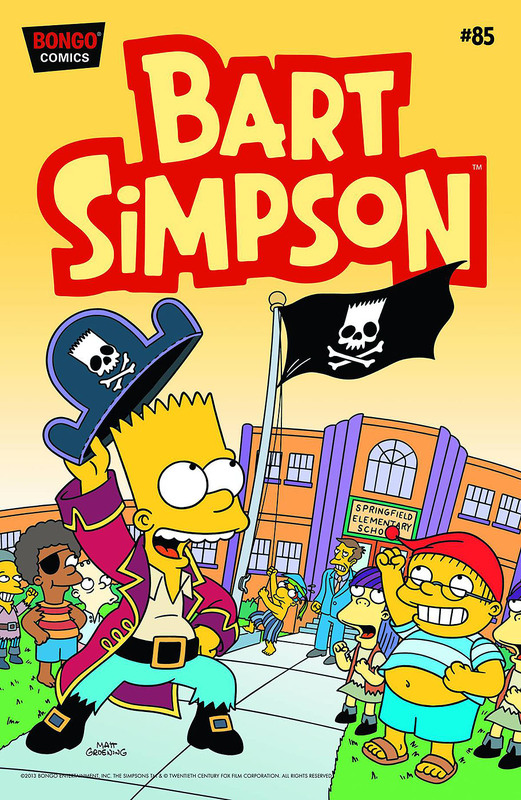 Bart Simpson 14 The Yellow Kid The Time Bandit! 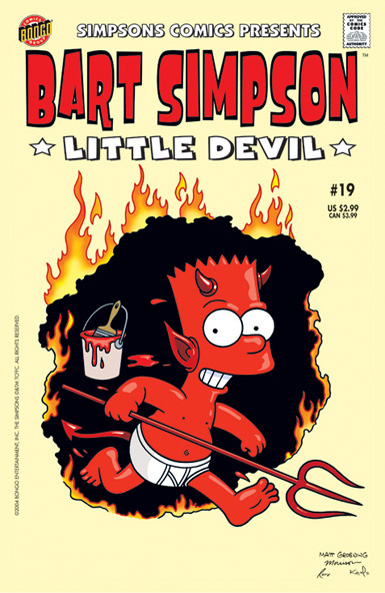 Bart Simpson 19 Little Devil Are You Gonna Eat That? 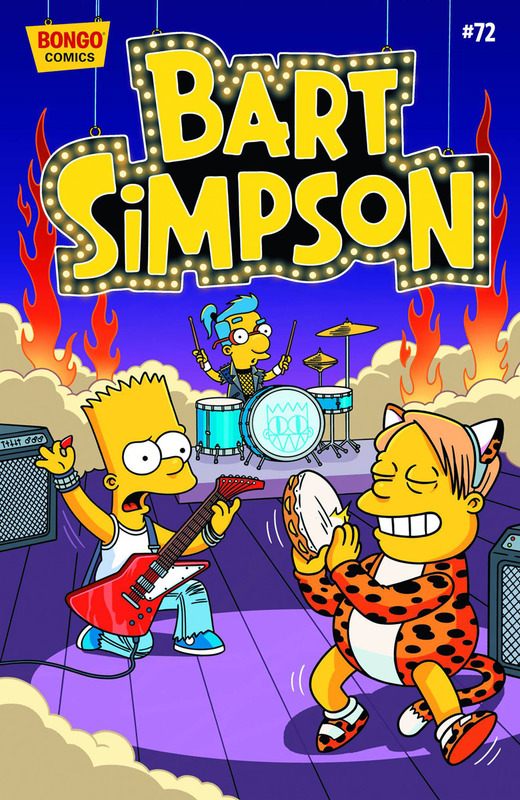 Bart Simpson 20 Chip Off The Ol' Block The Great Springfield Donut War! 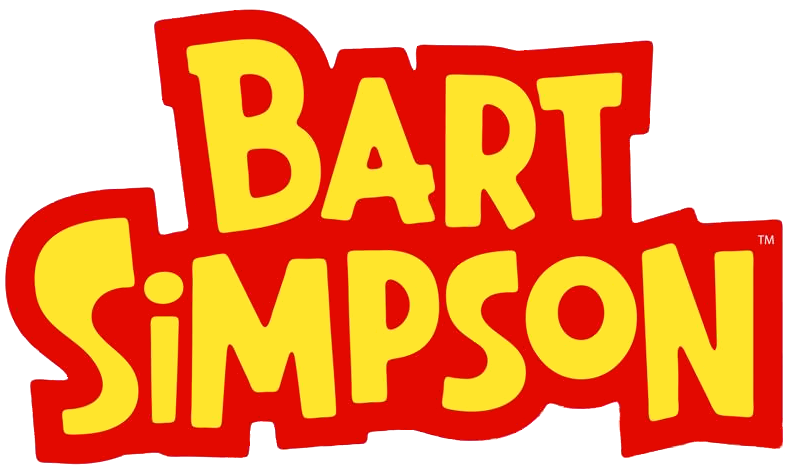 Bart Simpson 24 Cartoon Genius Bart's Got Spirit! 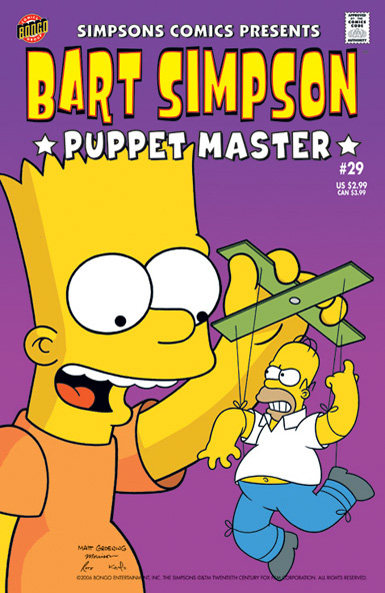 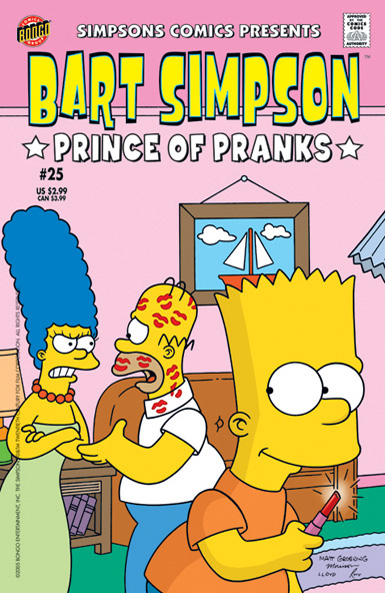 Bart Simpson 25 Prince of Pranks Comics Fan No More! 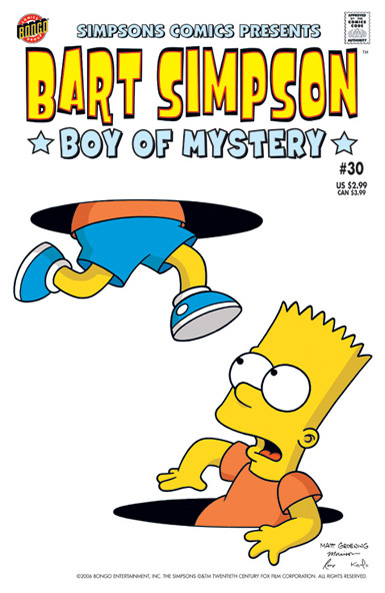 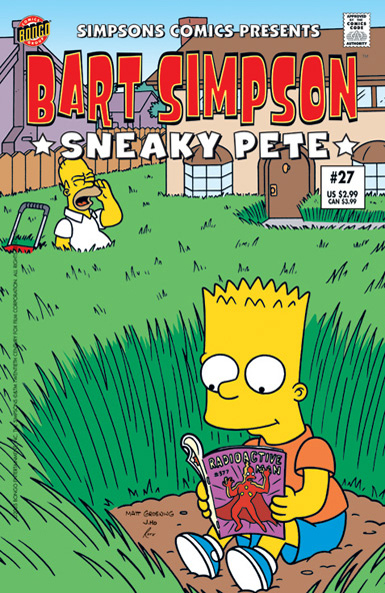 Bart Simpson 30 Boy of Mystery The Book That Ate Springfield! 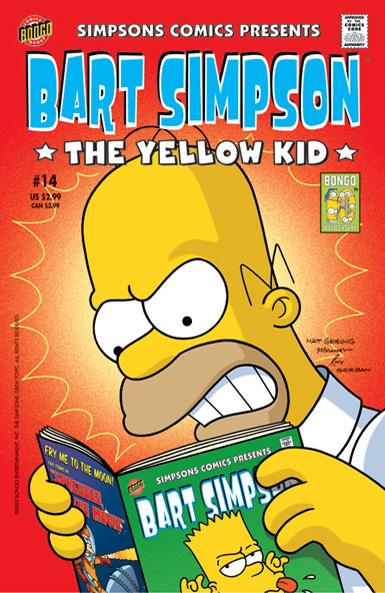 Handy Pop Culture Quotes For All Occasions! 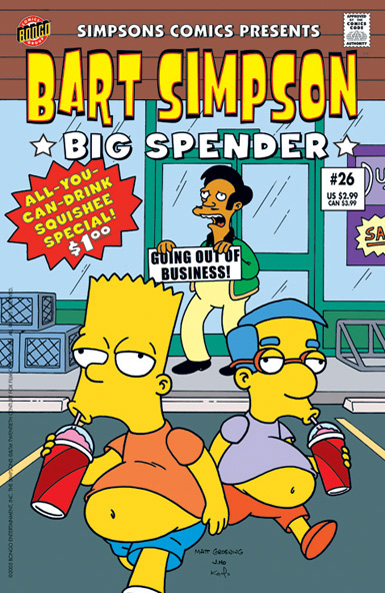 Shopping for School Supplies the Bart Simpson Way! 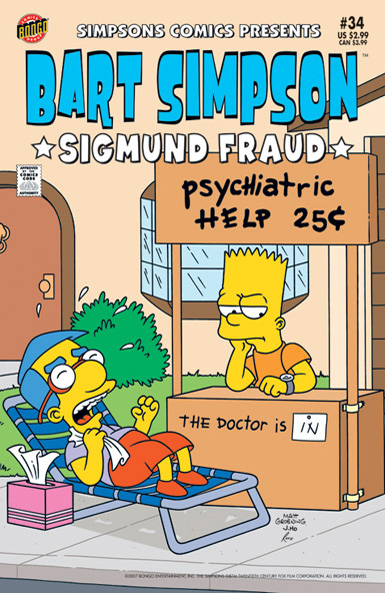 Bart Simpson 34 Sigmund Fraud Mr. Bart Krabappel! 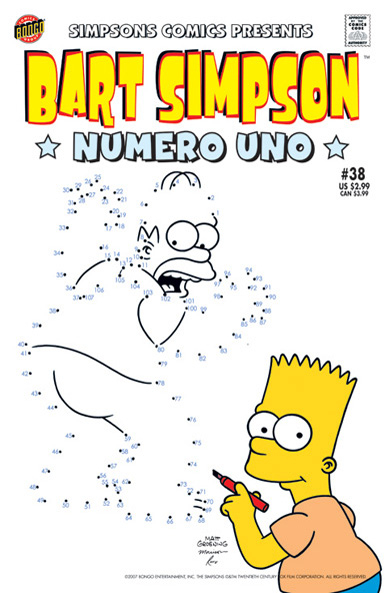 Bart Simpson 38 Numero Uno Principal Simpson! 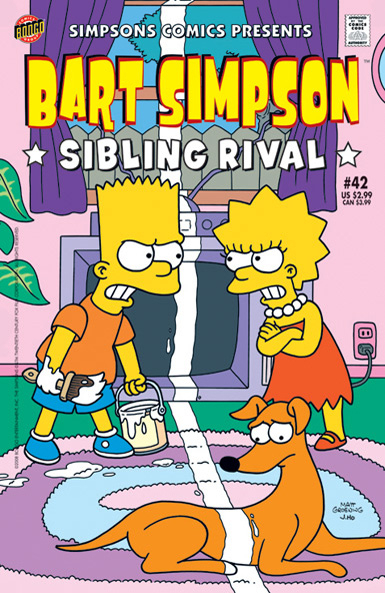 Bart Simpson 42 Sibling Rival Battle of the 'Plexes! 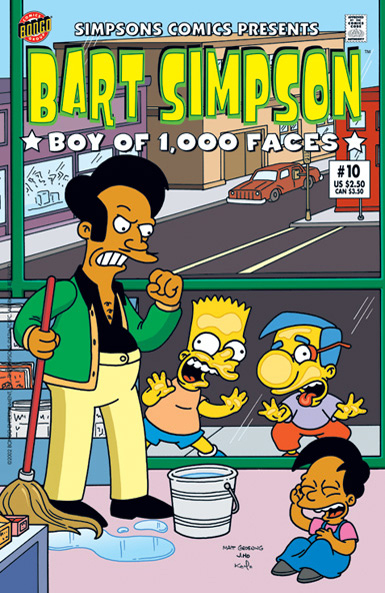 Say Hello to My Little Friend... Scarface! 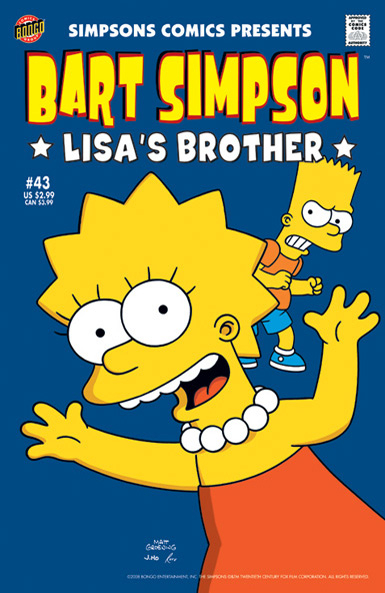 Bart Simpson 43 Lisa's Brother Lisa's Bad Word! 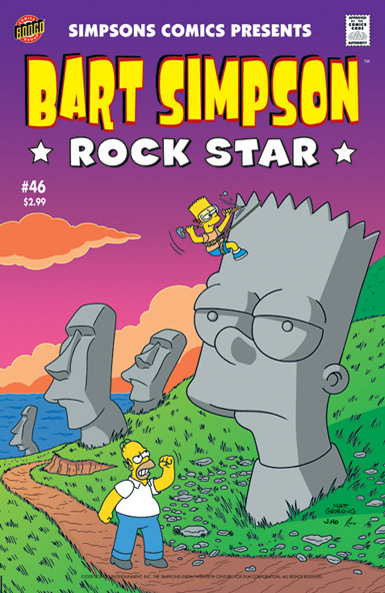 Bart Simpson 46 Rock Star Aye, Robot! 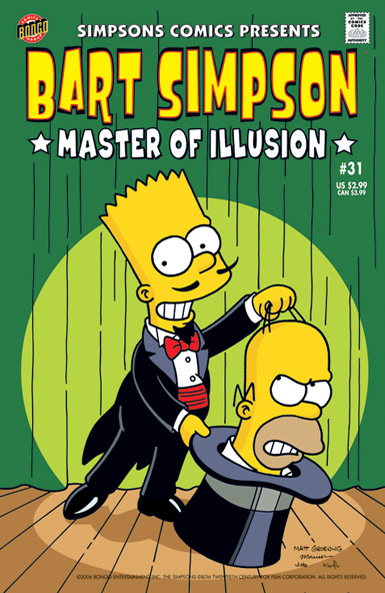 Bart Simpson 51 Behind The Scenes Bart's Invisible! 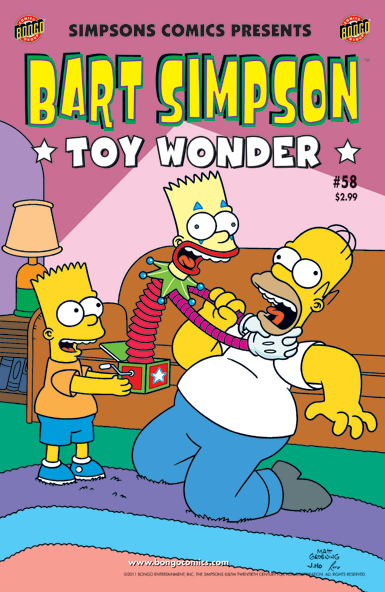 Bart Simpson 58 Toy Wonder Pranks a Lot! 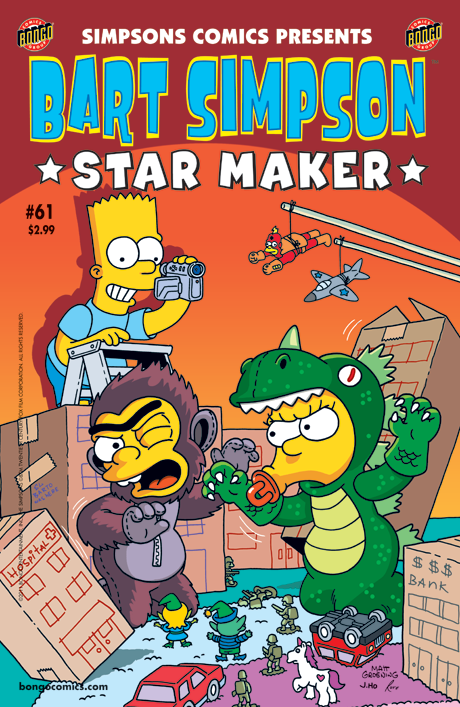 Bart Simpson 61 Star Maker Mail-Order Mayhem! 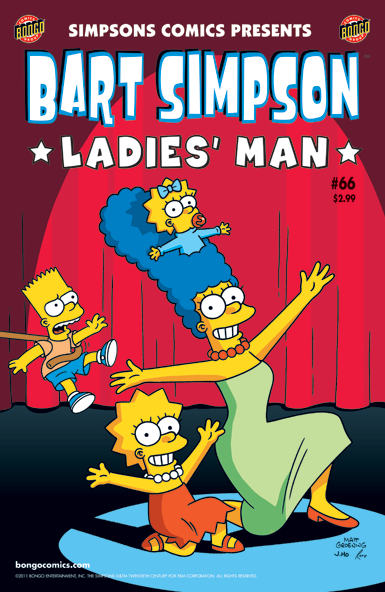 Bart Simpson 66 Ladies' Man Marge Goes Green! 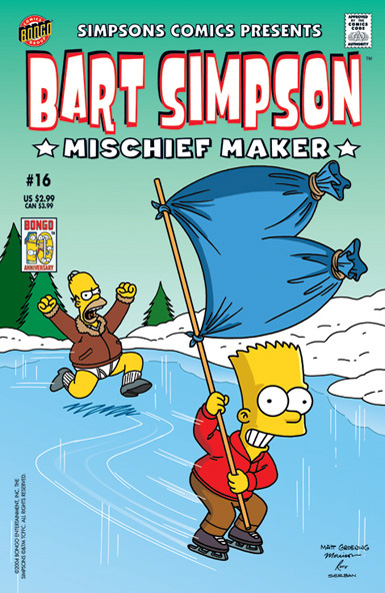 Bart Simpson 77 Good Cop, Bart Cop! 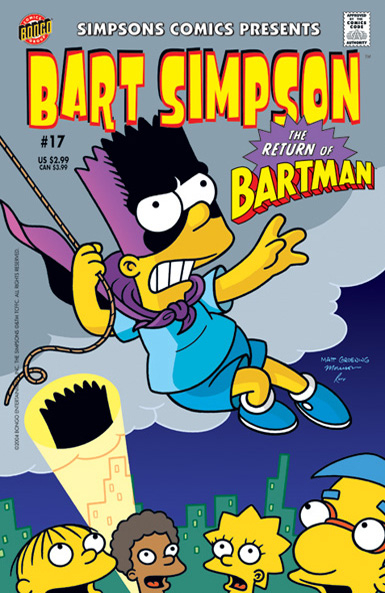 Bart Simpson 81 Who the Bartman? 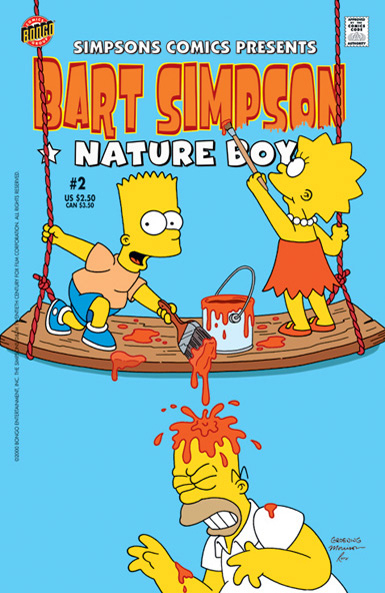 Bart Simpson 82 The Martin Chronicles! 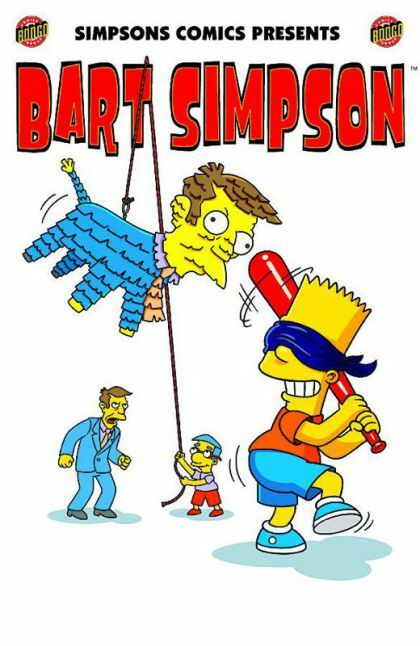 Bart Simpson 87 Prankenstein's Monster! 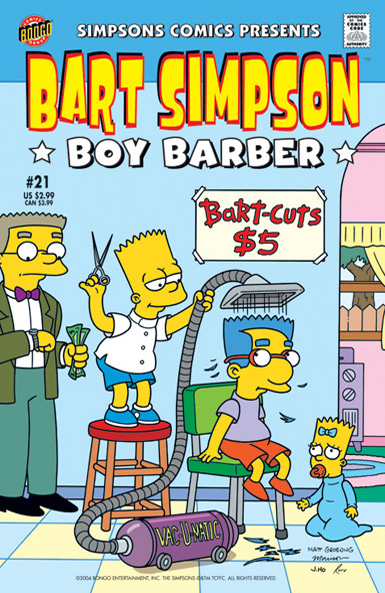 Bart Simpson 89 That's Hairable! 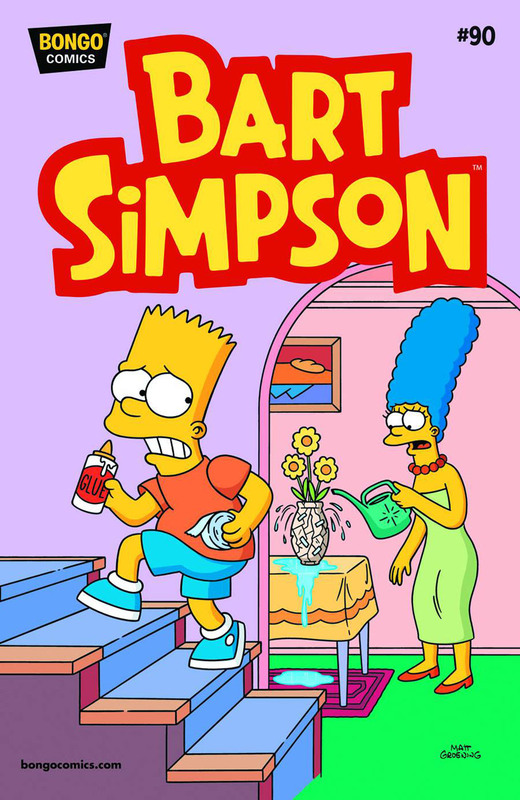 Modified on March 2, 2018, at 16:33.